Lime—the San Francisco-based company behind those scooters that threatened to call the cops on people—lost a request on Friday for a temporary restraining order that would have delayed two competitors from launching in the California city next week. 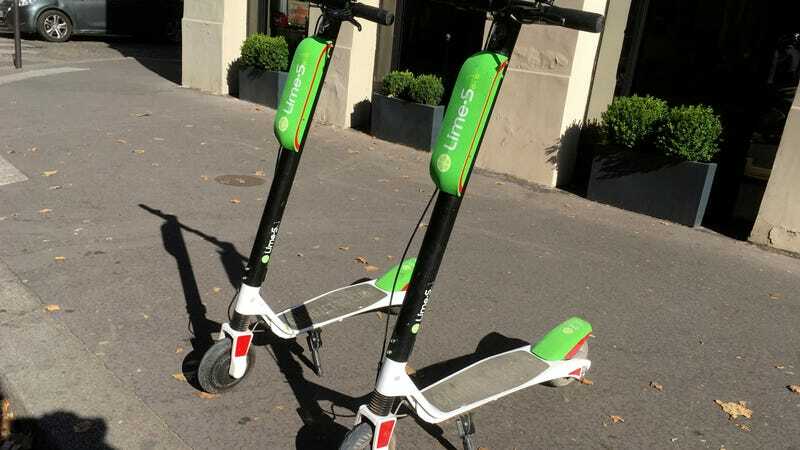 TechCrunch reported Friday that Lime filed the lawsuit this week as a last-minute attempt to stop the deployment of scooters from the two companies, Skip and Scoot. The move comes in response to the San Francisco Municipal Transportation Agency (SFMTA) previously denying Lime a permit to operate its scooter operation in San Francisco. The Honorable Harold E. Kahn voiced serious concerns about the San Francisco Municipal Transit Agency’s (SFMTA) permit process and ordered expedited discovery into the SFMTA’s selection process. In a rare move, the Judge ordered five key SFMTA officials and staff—including Director of Transportation Ed Reiskin himself—to testify next week. There will be another public hearing on this issue before Judge Kahn in mid-November, where the SFMTA will be required to answer to the people of San Francisco, and explain exactly what happened in the SFMTA’s biased selection process. Lime said that it didn’t file the lawsuit in order to halt the operations of rival companies but rather to expose what it characterized as a “biased and flawed process” on the part of the SFMTA. According to TechCrunch, JUMP, Spin, Lime, CycleHop, ofo, Razor, USSCooter, Lyft, and Ridecell also applied for e-scooter permits in San Francisco and were denied.